Gurnee, IL – June 20,2014 – Lance Williamson Stables in Gurnee, IL has been a force to reckon with when it comes to being fast in the jump offs at Premier horse shows across the country. The small private farm turns out horses and riders that are big news in the jumper ring from the low jumper divisions on up to the Grand Prix. The Gurnee location farm, owned and run by Lance and Lisa Williamson, has been in business since 1996 and offers boarding, training, lessons and sales. Lance Williamson has been training since 1976 and has recently added a winter location in Ocala, FL. Offering mainly private and semi-private lessons, the focus is on quality not quantity. Sale horses provide extra saddle time for students and the quiet, private farm allows for custom training programs for each rider. Rider names seen in the top ribbons include professional rider Tiffany Hammack, who also helps manage the barn , Stephanie Novas, Hailey Royce, Grace Knox, Julia Nagel, Nicole Loochtan, Katie Heywood, Carson Tazzioli and Jackie Oliva. The divisions they show in include the Adult Jumpers and Novice Children’s Hunters on up to the Grand Prix. Hammack is 26 now and started with the Williamsons at age 9 as a short stirrup rider. Within a year she won the Marshall and Sterling Childrens Jumper championship at the Washington International Horse Show on Pay the Rose. Hammack is one of the youngest or maybe the youngest child to win the National Children's Jumper title. She is a huge asset to the farm as a rider and a manager. Tiffany Hammack and Luminous, Champion in the 1.30 Open Jumpers at Spring Spectacular. Photo by Kendall Bierer/Phelps Media Grouo. Stephanie Novas and Amyra R in the Victory Gallop. The past two weeks at Showplace Productions’ Spring Spectacular the team was able to win 6 jumper division championships, one reserve, 4 jumper classic wins and multiple seconds, plus multiple blue ribbons in the Modified Children’s Hunters and Junior Hunters. So what’s the secret? Lance’s girls say it’s in the training and preparation. Newer clients were drawn to the barn because of Williamson’s winning track record. The girls admit and added attraction is there are always extra horses to ride and learn from. Lance reviews the course with his riders. “He makes everything harder at home so when we get to the shows it seems easy,” added Nagel. Nicole Loochtan and Game Over. 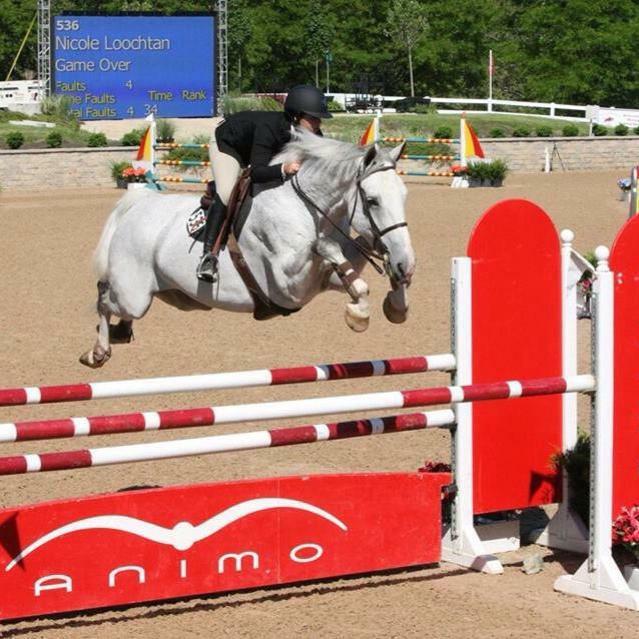 “We jump higher in the schooling ring at the shows which helps us go clean,” said Novas. The girls giggled and admitted their least favorite exercise is the triple combinations Lance sets for them. “It’s the scary three stride bending lines for me,” said Loachtan. The girls describe the barn as adventurous, compeititve, family, crazy and fun. Nagel says Lance is her role model and inspiration to ride better. 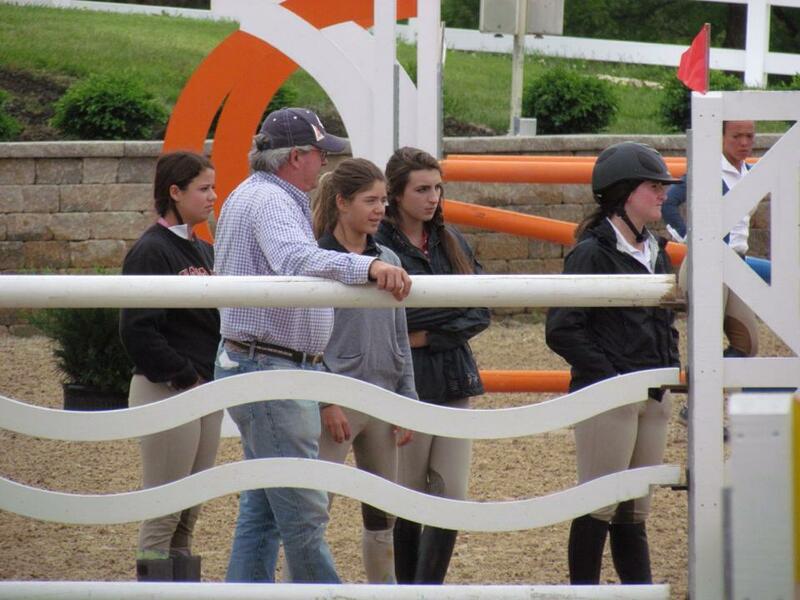 The girls put him in the category with some other role models like Reed Kessler, McLain Ward and Beezie Madden. The group admires the consistency of those riders and aim for that as well. Hailey Royce and veteran jumper, Rapidash. Lance’s riders certainly do win consistently so the program speaks for itself. The horses are chosen carefully as well. Consistent winners such as Lumious, Rapidash, Amyra R, Rueben and adult hunter champions Saracen and Critical Acclaim, add to the winning horse and rider combinations of both hunters and jumpers. "The most important thing for the rider to learn is to be able to improvise and be reactive in case things don't go according to plan while on course," said Williamson. "Things rarely happen exactly as you anticipate." Part of Lance's belief system is to take students with them to Europe to look at horses, even if they aren't looking for one. They follow him around from barn to barn all over Europe finding out why he would or would not buy certain horses. He believes the more they understand the better. Among the rider’s dreams are someday maybe showing at the Gucci Masters or Spruce Meadows horse shows. For now it’s off to Princeton, NJ to show next after week III of Spring Spectacular. Grace Knox and Stephanie Novas celebrating a 1-2 finish. Lance Williamson Stables is located at 34830 Cemetery Rd, Gurnee, IL 60031 and in Ocala, FL at 11895 NW 86th St, Ocala, FL 33482. Please visit their website atwww.lancewilliamsonstables.com , email info@lancewilliamsonstables.com or call 224-588-6225. Follow them on Facebook at Lance Williamson Stables LLC.